Traditional medicine, based on science, only accepts the existence of a physical body. But, with the help of technical appliances, we can now prove, that the physical body is surrounded by an invisible subtle body, the so-called aura. Kirlian-photography has been in existence since the 1940s. It reveals those parts of the subtle layers that are close to our body. The subtle body is closely connected with the gross physical body, and interacts with it. Every change in the physical body has an effect on the subtle body. And changes in the subtle body, for instance an increase of the vibration frequency, cause changes in the physical, mental, emotional and energetic levels of the body. Alternative and holistic methods of treatment, for instance, use various tools with ‘low-earth’ vibrations. They cause changes in the lower vibration levels of the subtle body. 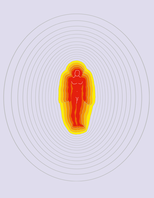 With the help of mental training, kinesiology, flower and crystal essences, homeopathy, singing bowls, herbs, sounds or essential oils the lower aura layers, as far as the astral body, can be stimulated, and oscillated into a positive healing vibration. Also energy blockages in this area can be harmonized and solved. But if you want to positively influence those subtle areas, which are situated outside the astral body, in even higher vibrating subtle layers, it needs ‘earth-distant’ or spiritual tools, such as the energized angel symbols and angel essences. 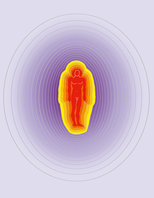 The Angel Symbols, Angel Oils and Angel Aura Essences mentioned here, do not only work in the seven aura layers, coloured purple in the picture, but in at least eleven further subtle body layers. So far, there is no significant description of these available. 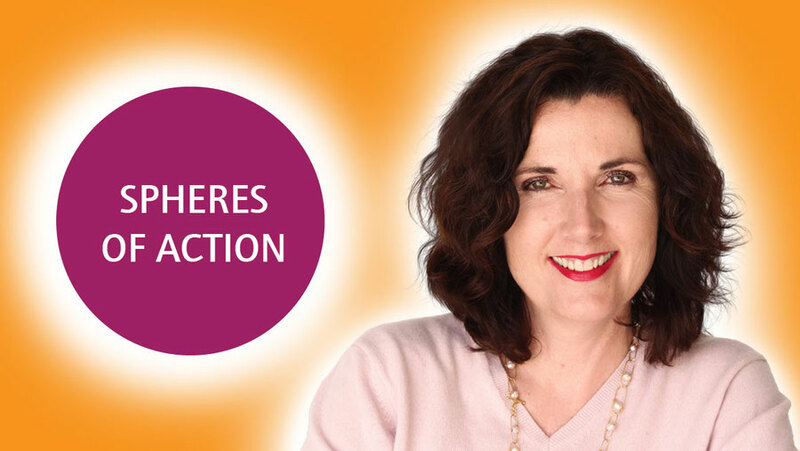 The tools are able to not just transform mental and emotional blockages, but also spiritual ones. Furthermore, they strengthen and protect the aura and the chakras. As a person’s physical and the subtle-spiritual body cannot be separated from each other during lifetime, the physical body can be positively influenced as well.